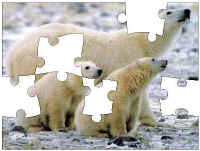 Bear Questions - simple questions for children to answer about bears either in class or as part of a research project. My Bear Book - a printable template for a simple booklet to be cut and folded. Children can write information they have learned about bears in this booklet.